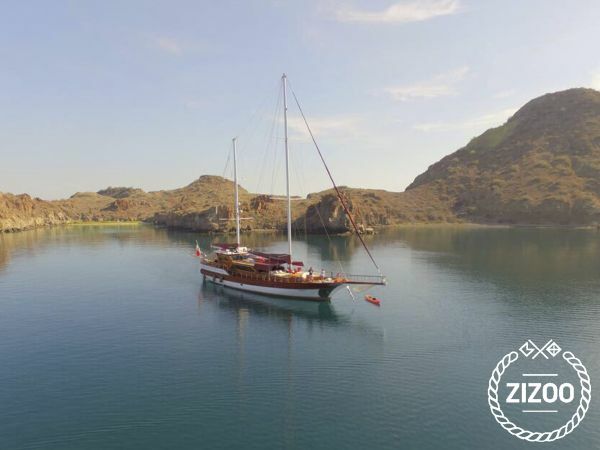 Manufactured in Turkey, our Gulet has five comfortable and cozy cabins equipped with air conditioning and full bathroom, making your journey more pleasant on the tranquil waters of Sea of Cortés. With different routes from 1 day to 7 days - 6 nights, "Bésame Mucho" will sail on a journey of incomparable sensations. Our crew will show you the natural wonders of the Sea of Cortes, while you enjoy the different activities or simply let yourself indulge.